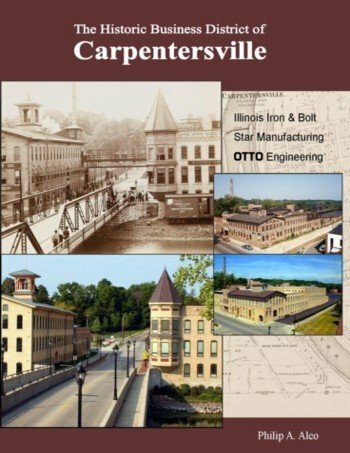 The town of Carpentersville was platted and surveyed on July 15, 1851 by Julius Angelo Carpenter. This man developed the extensive business district that we see to this day on Main Street. Although some of the buildings date as far back as 1871, they stand today in pristine condition! This “one-of-a-kind” book highlights the original development of the historic business district with text and photos - many dating back to the 1800’s. It then details the renovation that we enjoy today.